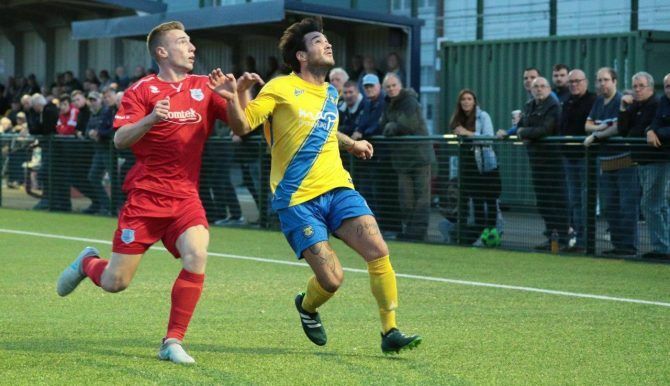 It’s been a fortnight since Stockton Town have been in action but they return with a bang on Saturday when they welcome West Auckland to the Coverall Stadium. It’s been two weeks without competitive action but that may well have provided Michael Dunwell with a good opportunity to get most of his squad together. Injuries and inavailability have plagued The Anchors in the season’s early going and consistency in selection has been close to impossible for the manager. Several key defensive figures have missed time this season through a number of reasons with Tom Coulthard, Adam Nicholson, James Risbrough and Dale Mulligan all having missed out at one point or another. The Anchors returned to form in their last outing. They showed their character to put to bed the ghosts of a disappointing midweek defeat to Bishop Auckland with a resounding win away to Newcastle Benfield. The 2-0 triumph at Sam Smith’s Park demonstrated that a full strength Stockton defence brings problems for the opposition in both boxes with captain Adam Nicholson grabbing a brace. Now The Anchors face one of their toughest tests of the season with freescoring West Auckland the visitors to the Coverall Stadium. Adam Nicholson’s brace secured a 2-0 win at Newcastle Benfield last time out. 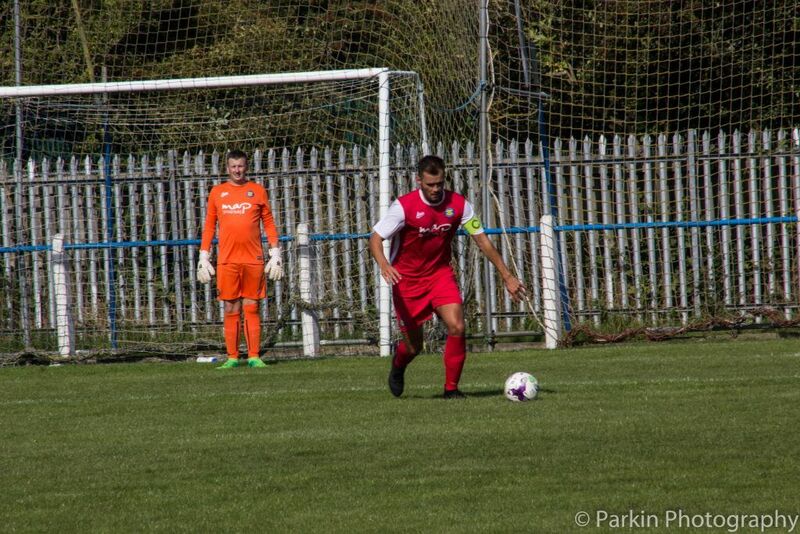 West Auckland have enjoyed a promising start to the Northern League season. After eight games, they have the two points per game that managers target as a benchmark for promotion. With 18 goals in their eight games to date, they clearly present an attacking threat that will torment most defences at this level. In Nathan Fisher (eight goals) and Amar Purewal (seven) they have the division’s two top goalscorers and their threat was demonstrated with a 7-0 demolition of Newton Aycliffe a week ago. West have invested heavily in their squad again this term. The attacking prowess of Fisher and Purewal is backed up by the signings of former Spennymoor and Whitby goalkeeper Shane Bland, former Whitby skipper Ste Snaith as well as the eye catching capture Tom Portas from Darlington. All should be outstanding contributors to their promotion cause this season having performed consistently at higher levels in recent seasons. West Auckland’s squad boasts a veritable bounty of North East non-league talent particularly in attacking areas. Nathan Fisher leads the way on eight league goals but just one behind is Amar Purewal. The pacey forward has the ability to play through the middle or score goals from wide areas and has built up a sound reputation as one of the leading attacking talents in the region at this level. Purewal was one of the first signings Martin Gray made as Darlington manager when The Quakers were demoted down to the Northern League. He would go on to enjoy two promotions and become a crowd favourite at Heritage Park with his tireless work rate and perennial goal threat. Purewal has received CONIFA international recognition from the Panjab FA during recent years and with seven league goals to his name already this term, is clearly enjoying himself at West Auckland. Last season provided a mixed bag of results with a draw sandwiching a win apiece between the sides. West Auckland came from a goal down to win on their first visit to the Coverall Stadium last season. Jamie Owens had given The Anchors the lead but a hat-trick from leading marksman Nathan Fisher gave his side a 3-1 victory to compound Stockton’s difficult start to the season. In the return fixture a few weeks later it would be Stockton who would come from behind to take something from the game. Goals from former Darlington duo Adam Mitchell and Amar Purewal had given West a two goal lead but a Nathan Mulligan penalty and another goal from Owens saw Stockton take a highly respectable point back to Teesside with them. The Anchors would get their first win over West on their infamous FA Vase run. A brace from Jamie Owens secured the victory in front of a crowd of over 500 as The Anchors progressed into the competition’s last 16. Matchday sponsor – Graham Spacey and Family.